Gift of Life celebrated marrow and stem cell donors around the globe on World Marrow Donor Day, held on September 16. Greetings poured in from dozens of countries in recognition and thanks to the millions who have given generously of themselves to save the lives of total strangers, as well as those who are waiting to donate. 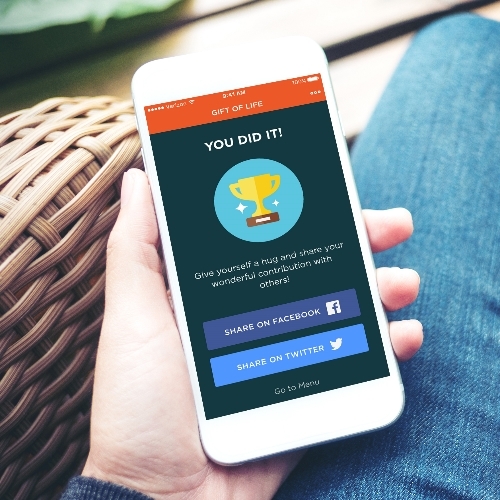 On the day when 30 million marrow donors around the world were being recognized, Gift of Life debuted its new smartphone app, SwabApp. Donors who use the app will experience a faster, easier registration, and the app will facilitate the process, if they are called as a match. Donors already in the registry can use the app to update their contact information, with many more capabilities planned for future releases. The app runs on both Apple and Android operating systems. Rory Kemp, a 13-year-old from Edinburgh, Scotland, his parents and sister came to New York for the emotional introduction to the young man who saved Rory’s life. Christopher Mattson, a 28-year-old martial artist and personal trainer from Pennsylvania, got the call that he was a match for the young boy only a year after joining the registry. 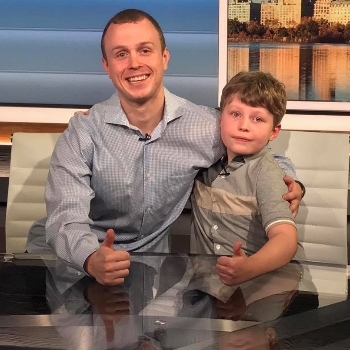 Donor and recipient had a busy day, with a morning live television appearance where they met for the first time, and an evening party at New York’s Sky Room with dozens of Gift of Life donors. World Marrow Donor Day celebrates international collaboration among registries, and the match between Christopher and Rory was facilitated by Gift of Life in partnership with Anthony Nolan, the public marrow registry of the United Kingdom. 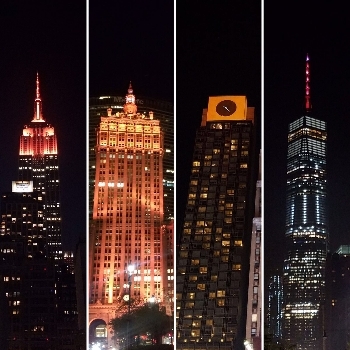 In honor of all heroic marrow donors, Gift of Life lit up the Empire State Building in orange, the internationally recognized color of leukemia awareness. The Kemp family joined Gift of Life Chairman Bill Begal to officially flip the switch. They also met cast members Francesca Curran and Miriam Morales of the hit Netflix original series Orange is the New Black, who came to show their support for the fight to cure leukemia. Other buildings that glowed in orange included the World Trade Center, East River Plaza, 230 Park Avenue, and the four-story tall clock at The Renaissance Hotel Midtown. The inspiring sight on the New York skyline made a beautiful backdrop for the WMDD party at the Sky Room, and was the perfect final touch for an exciting day. Campus Ambassadors hosted donor drives across the U.S. 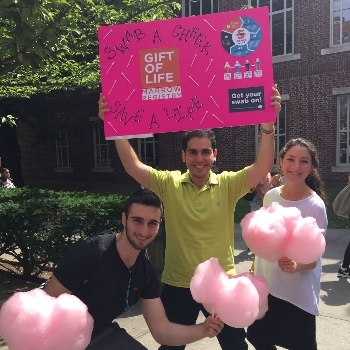 Gift of Life’s Campus Ambassadors, our college representatives at more than 80 universities in the United States, recognized the day by organizing donor recruitment drives on their campuses and running social media campaigns. The more people who sign up, the more lives we can save! Gift of Life received photos from World Merit, an organization that enables young adults to engage in community service, sharing their thanks to all marrow donors for their selfless act. Donors themselves showed their incredible enthusiasm for the mission to cure blood cancer with a photos showing that anyone, anywhere can become a donor. World Marrow Donor Day is celebrated on the third Saturday each September. This day of recognition and thanks to donors was founded in 2015 by the World Marrow Donor Association.